I'm a classic sort of guy.... that's me, Rusty the doggygifts.com mascot. Classics is every day gear for every dog. 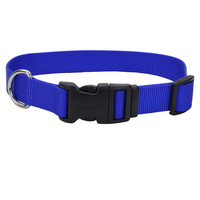 For dogs who want to get back to basics, the Coastal Pet nylon dog collars, dog leashes and dog harnesses in classic style are your spot on choice! Featuring a broad range of products, styles and colors, the nylon classics are great on their own or to mix + match with the fashion patterned products. Looking for a classic dog collar? What type do you like - plastic buckle collar, metal buckle collar, martingale collar - with or without plastic buckle - double ply standard buckle for strong dogs - macho for very large and strong dogs? Remember a matching classic dog leash too! Are you a harness type of pooch? 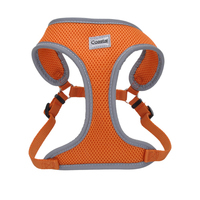 We have you covered with lots of great classic dog harnesses that coordinate too. As always, our team is happy to help you determine the best suited match for your best friend! Let's Talk Soon!